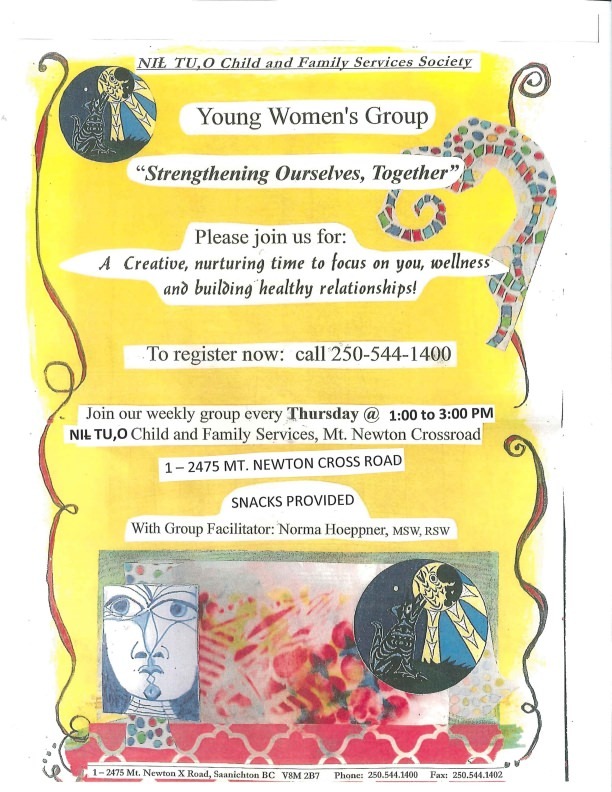 Young Women's Group "Strengthening Ourselves Together"
NIL TU, O Child and Family Services Society's Young Women's Group -"Strengthening Ourselves Together"
Please join us for a creative, nurturing time to focus on you, wellness, and building healthy relationships! 1-2475 Mt. Newton Cross Rd.